One day I was sitting at my desk, writing a blog about why leaders need to invest in developing their communication skills, when I remembered a quote painted on the wall of my old dance studio. It was a quote from Fred Astaire: “Some people think good dancers are born. But all of the good dancers I know have been taught or trained.” I had stared at this quote hundreds of times while stretching and changing into my practice shoes without giving it a second thought. For years I struggled with the question: What can leaders of organizations learn from dancers about effective communication? I have been dancing for almost as long as I have been working within the field of communication. I have the same number of years training to become a dancer as I have training to become a strategic communicator. And I have used these skills to help clients communicate effectively when an organization’s operations were business-as-usual or in crisis. I have also worked with leaders of organizations to develop their own communication abilities, as being able to communicate well is one of the burdens of leadership. I knew intuitively that there were clear connections between the principles and skills of dancing and those of effective communication. And for a long time, I wanted to find that overlap between the two worlds of which I am a part. That became my starting point. Once I started to think of the skills I have developed through the years dancing and the key lessons I have learned in becoming a strategic communicator, the connections between the two became clear. Which brought me back to the question: What can leaders and organizations learn from dancers about effective communication? Dance is powerful form of communication. 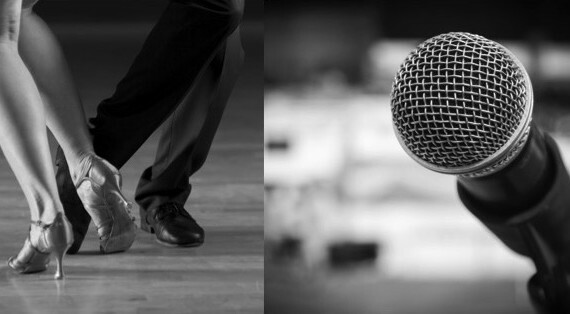 The principles and skills that make great dancers are the same overarching principles that leaders and organizations can use to become effective communicators. I am not suggesting that leaders of organizations take up dance (although wouldn’t that be interesting). Rather, I am suggesting that the core of some of the skills and principles that make great dancing—not the specific way in which dancers implement the principles, but the principles themselves—can help leaders understand in a new way the key principles of effective communication. And it is not only leaders of organizations that can benefit from this new way of understanding principles of effective communication, but anyone who wants to become a better communicator. Over the next few months, I will be writing a series of blogs called “Lessons in Communication from a Dancer” exploring how principles and skills of dance can help us better understand key principles of effective communication, as well as examples of these communication principles in action. So what can leaders of organizations learn from dancers about effective communication? Let’s find out!